Buying a property in France is all about timing. After all, the slightest movement in exchange rates, interest rates or house prices may mean the difference between being able to afford your ideal home or just missing out. French interest rates have plummeted to new historic lows. Attractively cheap French mortgages have been made available to overseas buyers by local banks, and those potential purchasers are benefitting. It almost sounds too good to be true, and there is a slight catch, one relating to securing the financing for those bargains. 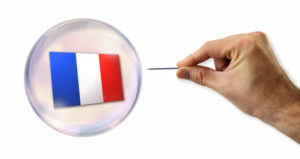 Lenders are worried that, in certain areas of France, it’s becoming harder to sell properties. In the short term, this may mean low prices for buyers but, taking a longer view, the banks are hesitant about securing their mortgages against properties which may be very difficult to sell on if they’re obliged to repossess. Most French banks will value a property before granting a mortgage. In certain cases, lenders have refused to provide a mortgage on properties which they believe to have a low resale value. However, there’s a way to protect yourself against this issue. And, as is so often the case, the solution is to be found in acting early! Before you even start your property search, simply pick up the telephone and contact a specialist French mortgage broker to find out your borrowing power across the Channel. In addition to discussing loan sizes and the various mortgages available, the broker will also be able to move your application ahead and put in place an ‘agreement in principle’ with your chosen lender. This will ensure that you’re much more in control of the situation. With luck, the French lender will take a positive view of the property and you’ll be free to proceed. Unfortunately, this may not always be the case, but by finding out nice and early at least you’ll be able to turn your attention to a more suitable property without wasting further time and effort. There’s nothing worse than signing a sales agreement, only for a small glitch to spoil everything. The best way to avoid a picky French bank, which has no faith in the resale value of your chosen of property, tripping up your entire buying process is to start arranging things nice and early, then communicate well with your mortgage broker, and that way you’ll remain in consultation with your lender every step of the way.